In South Africa’s currently volatile labour market, as a jobseeker you may think you simply have to take every job you can get. However, choosing a company that matches your needs is also extremely important. ClockWork’s matching algorithm factors in a range of critical criteria to ensure you, as a jobseeker, are matched with the right employers. 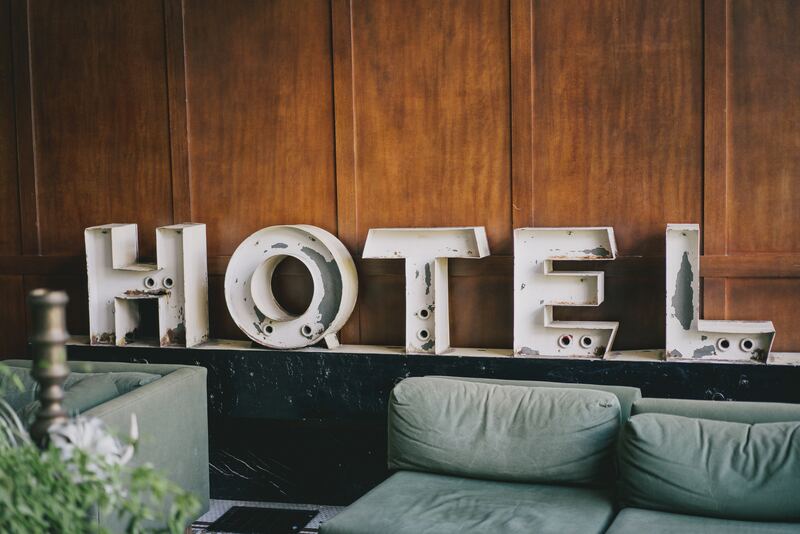 This article looks at the best hotels to work for within the hospitality industry. The Mojo Hotel is a new type of hybrid hotel situated in the heart of Seapoint, in Cape Town. Mojo Hotel offers a variety of rooms – from spacious self-catering studios and apartments to compact crash pads. Their rooftop rooms boast modern amenities like, free high-speed WiFi, quality bed linen, air-conditioning and Smart TVs. For those who want more space, there is plenty available in their studios. Mojo have placed emphasis on design and decor, but keep everything accessible, affordable and real. It’s a place where people can feel equally comfortable in board shorts or a business suit. From the unique wall murals, to their communal spaces, Mojo Hotel have created a place full of the spirit and vibrancy of Cape Town. Want to work at Mojo Hotel? Check them out here. Wilton Manor is situated in a luxury Victorian house dating back 130 years, with African charisma and style. The guest house is situated in the peaceful and charming suburb of Green Point, a popular location from which to explore Cape Town. Wilton Manor features wrap-around-balconies, high volume ceilings and wooden floors. Unique African crafts, spaciousness and Cape Dutch history create an elegance to be experienced. Guests can enjoy a chilled drink on the deck next to the swimming pool and braai area. 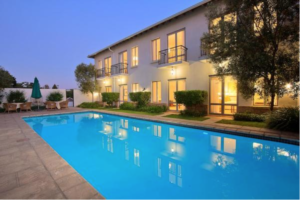 Wilton Manor is a stone’s throw away from Cape Town CBD, the V&A Waterfront, Cape Town Stadium and more! Sound like a cool place to work? Check them out here. The Grand Daddy’s iconic city centre hotel is Cape Town’s most original, convenient and fun place to stay. Not only is their proudly South African hotel a heritage building, but they have been operating as a boutique hotel for over 120 years! 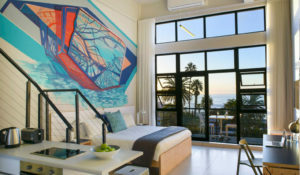 The legendary, luxurious, conveniently located “design hotel” bustles with an energy that is quintessentially Cape Town. 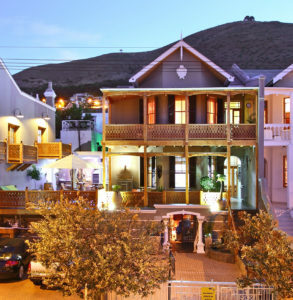 The Grand Daddy Boutique Hotel is located at the heart of bustling Long Street, in full view of Table Mountain, right on the doorstep of Cape Town’s ultimate playground. This unique hotel features an outdoor rooftop cinema, named the “Pink Flamingo”. Guests can also enjoy top class food from the hotel’s restaurant, Thirty Ate. If that isn’t enough, the hotel also features South Africa’s only rooftop Airstream Trailer Park! Interested in working for this awesome hotel? Check them out here. This elegant lodge is situated in Morningside Manor, one of Sandton’s secure and tranquil suburbs, overlooking the willowed banks of the Sand River with an abundance of bird life. 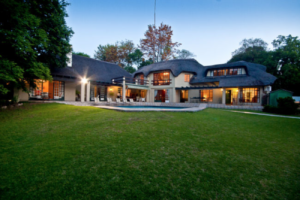 Thatchfoord Lodge is not just an average B&B, but rather a haven where one can feel at home when away on business, holiday or even on a short stay-over visit in Johannesburg. The furnishings, design and thatched roof create a country house feeling, accompanied by the calming sound of the Sand River flowing by, guests will forget that they are actually in the heart of the city. Thatchfoord Lodge features 9 spacious, en-suite bedrooms which overlook the large pool, patio and shady garden, all at the disposal of their guests wishing to relax and unwind in privacy. Do you want to enter the hospitality industry? Why not work for Thatchfoord Lodge. The Syrene is a friendly, professionally-run four star boutique hotel featuring the luxury of business class travel. As the name suggests, their guests will experience a quiet, private and tranquil setting offering best in class accommodation and personalised service. The Syrene is perfect for a quiet and comfortable business stay, to a romantic date night away in their intimate and peaceful setting. If you’re looking for a place to stay which is central to Joburg’s largest shopping malls, the hotel is positioned in the middle of each of these landmarks: Sandton City, Mall of Africa and Monte Casino. If you want to work at an up-market, boutique hotel, why not check out The Syrene here. Pin Oaks welcomes business and leisure travellers to share in their “little slice of heaven”. 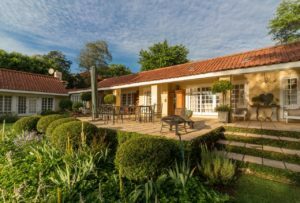 The B&B is situated in the quiet, central and tranquil suburb of Hurlingham in an enormous treed garden – allowing guests to relax and recharge in utter tranquility. Pin Oaks offer two self-catering options, as well as a large master suite. All of Pin Oaks’ rooms have DStv and WiFi (Fibre). Guests have full access to their beautiful garden, pool, gas braai and tennis court, including secure parking on the property. Each unit also has its own entrance and private outdoor seating area. Sound like a relaxing setting to work in? Check them out here.